The Chevy Nova was originally built in a time where muscle cars required exactly that: muscle. For the 1967 Chevy Nova SS, that muscle was in the form of a 327 cubic-inch, 5.3-liter V-8 that put out 275 horsepower, or in the case of the Chevy II Nova, it was a 283 cubic-inch, 4.6-liter V-8 that put out 195 horsepower. Boy have things changed, though. That change is wildly evident in Chevy’s 1967 Nova 2.0 hot rod. So what’s so wild about the Nova 2.0? Well, your answer is the fact that it is powered by nothing more than a 2.0-liter, turbocharged four-banger. Of course, some of the most dominate muscles cars of the current era now come offered with four-bangers too, but how often do you see on in a late 60s muscle car? Not very often. In fact, I don’t think I’ve ever seen one worth writing home about. The real question is, does this ’67 Nova, dubbed the Nova 2.0, really have what it takes to still be called a muscle car? I can already see the comments coming in from V-8 and big-block enthusiasts everywhere, but as the saying goes, don’t judge a book by its cover. The 1967 Nova 2.0 was built to showcase Chevy’s new LTG 2.0-liter crate engine and accessories, and actually debuted earlier this year on the HOT ROD Power Tour. This week, however, it makes the news again because it is slated to make another major showing at the SEMA show later this week with 20 other concepts from Chevy. Now that you know the basics about it, and you diehard V-8 fans have picked up your jaws, let’s get down to the meat of the Nova 2.0 and see if the LTG conversion is worthy of its home in a classic muscle car like the 1967 Chevy Nova. Continue reading to learn more about the 1967 Chevrolet Nova 2.0. At a quick glance from a distance, the 1967 Nova 2.0 looks like a regular, black Nova from the late 1960s, but once you get up on it, you realize there is a modernized touch to the body as well. First off, the Nova 2.0 has a Black Gold finish, and has a billet aluminum grille, and narrowed bumpers that are tucked – a nice touch I must say. The door handles have been shaved and the doors have electronic latch releases. The car rides on 17-inch, Z/28 styled wheels that have a satin bronze finish. Nothing else on the body has been changed from its original design – It even has the same old-school circular headlights. Of course, too many body modifications would have done the car an injustice in my opinion, so I applaud the designers for keeping body modifications minimal. Chevy’s most recent press release didn’t elaborate on the interior at all, but I suspect the interior for the most part is completely stock. 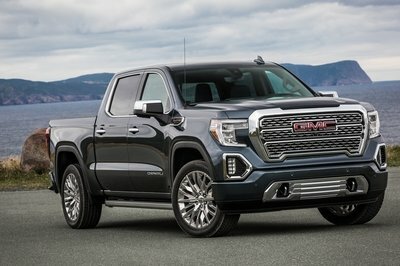 Of course, the four-speed shifter has been replaced with the necessary shifter for the six-speed transmission that bolts to the LTG crate engine, but aside from that, expect to see the same seats and door panels. I hope Chevy left the classic, rectangular instrument cluster with that large speedo in the middle, but since the LTG engine is electronically controlled, I wouldn’t put it past Chevy to put a modern instrument cluster in there. If nothing else, I would expect to see an additional panel mounted somewhere with a tachometer and plenty of ancillary gauges to go along with the modern engine. This is where the real meat is when it comes to the Nova 2.0 – if that is what you would call a 2.0-liter engine, anyway. The 2.0-liter LTG crate engine is a turbocharged, all-aluminum mill that puts out 272 horsepower at 5,500 rpm and 295 pound-feet of torque at 3,000 rpm. Not too bad for a four-banger, and its torque curve delivers 90 percent of its peak twist from 1,700 rpm to 5,500 rpm, with peak torque kicking in at 3,000 to 4,600 rpm. The engine has a bore and stroke of 86 mm by 86 mm and a compression ratio of 9.5-to-1, with dual overhead valves. Maximum engine speed comes in at 7,000 rpm and it runs on at least 92 octane unleaded gasoline. Keep in mind that the original 5.3 from the Nova SS only put out 275 horsepower, so Chevy has essentially been able to cut the engine in half and provide nearly the same power. Modern technology these days, huh? The 2.0-liter mates to a six-speed manual transmission that can handle up to 332 pound-feet of torque. The 2.0-liter mates to a six-speed manual transmission that can handle up to 332 pound-feet of torque. 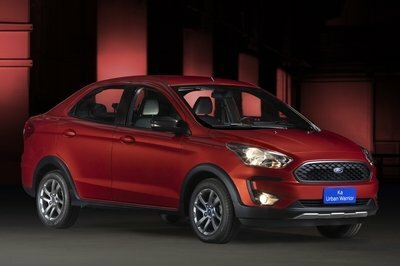 That means that there is still room for improvement on the 2.0-liter as it comes without having to upgrade the transmission right away. The transmission has a 1st gear ratio of 4.12, 2nd of 2.62, 3rd of 1.81, 4th of 1.30 5th of 1.00 and 6th of 0.80. The Nova 2.0 has also been fitted with height-adjustable air bag suspension in the front and rear, along with a triangulated four-link configuration in the rear. Four-wheel disc brakes help to bring the Nova 2.0 to a stop. The whole package allows the Nova 2.0 to hit 60 mph in just 6.2 seconds. Pricing of the actual car is a bit of a mystery, but I took the liberty of looking into parts costs for the LTG conversion from Chevy Performance. The LTG 2.0-liter crate engine has an MSRP of $9,000 and the six-speed trans hits the bank for $3,875. An engine controller is also needed which comes out at $2,400 – including all the necessary wiring and installation hardware. The accessory drive kit comes in at $520, including the alternator. The transmission install kit comes in at $731, bringing a grand total for necessary parts to just over $16,526, or nearly $61 per pony if you look at the horsepower-to-dollar ratio. 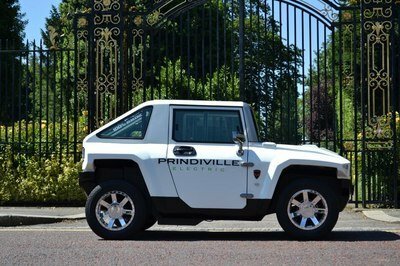 So, $16,000 for just the conversion. Next you’ll need a 1967 Nova to put it in. I did some searching, and you can find them in decent shape, and widely unmodified for $15,000 to $20,000 depending on condition – One for $19k still had the original AM radio in it. Either way, call it $20,000 for the car, and you’re looking at roughly $36,000. Add in the custom paint, shaved door handles, billet grille and other miscellaneous modifications and you’re probably looking at closer to $45,000 for a replica Nova 2.0 – if you do some shopping around. There are plenty of Nova’s out there going for $30,000 to $40,000 that are close to original or have already been worked over. You can’t really list a definite model that could really compete with the Nova 2.0 right now. Sure you could bring up the 2016 Ford Mustang with the 2.3-liter, turbocharged EcoBoost—it puts out 310 horses and 320 pound-feet of torque and starts out around $24,000. There’s also the 2016 Chevy Camaro with a 2.0-liter, 275 horsepower and 295 pound-foot producing engine. It is estimated to carry a price tag in the range of $25,000 to start. I don’t think these cars are real competitors though. They may have modern powertrains, but they also have modern bodies, which don’t really compare to the styling of the 67’ Nova. Ford did produce a four-cylinder, turbocharged Mustang back in the early 1970’s, and it was a quick little car, but I have yet to see one with a modern engine. Take the turbocharged drivetrain from the modern Mustang or Camaro and drop it into its counterpart from the late 1960s – and only then will you have a true competitor. I’m going to be blunt about it. The 1967 “No Go” was an according-to-Hoyle muscle car in its day, but don’t you think cramming a modern four-cylinder under the hood, you kind of take away from what the car really is. There is a special emotion that overruns your body and soul when you sit behind the wheel of a true muscle car, and a modern, four-banger literally takes that away. Don’t get me wrong, I think the fact that a 2.0-liter four-cylinder can push the 3,100-pound nova to 60 mph in 6.2 seconds says a lot about the evolution of the combustion engine, but in my opinion, it’s no longer a muscle car. 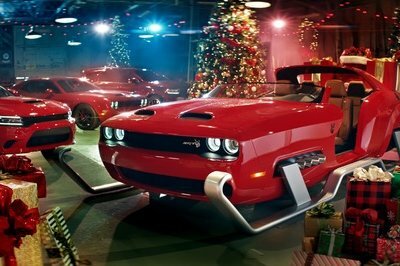 I know the days of naturally aspirated, V-8 powerplants are pretty much over – even the Dodge Charger and Challenger Hellcats are supercharged, but at least they still have the large, V-8 engine. I for one, miss the days when you could lift the hood, climb into the engine bay, sit down on the fender and do a little wrenching – just try doing that on a modern car. Not that these new turbocharged cars don’t have their place today, and things do change, but my heart still hurts a little to see a small, turbocharged engine in a classic car. 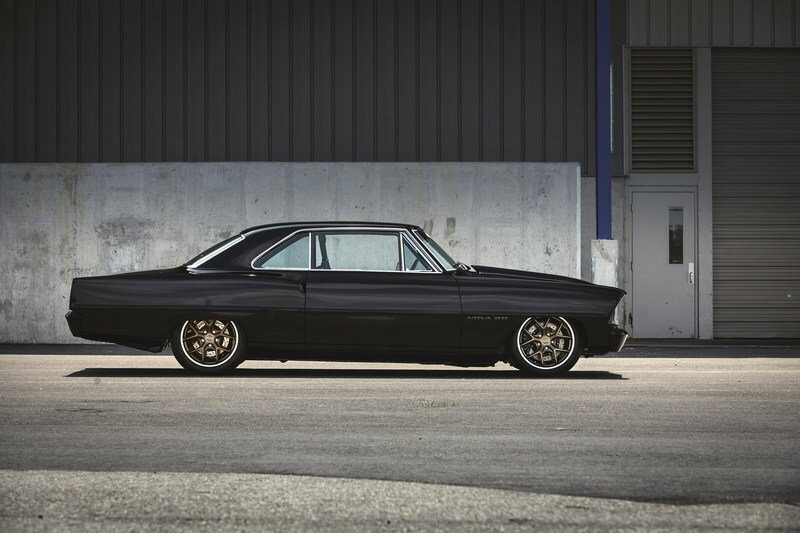 Demonstrating the evolution of high-performance and the latest in crate-engine technology, Chevrolet’s turbocharged 1967 Nova 2.0 is a contemporary hot rod with timeless style. 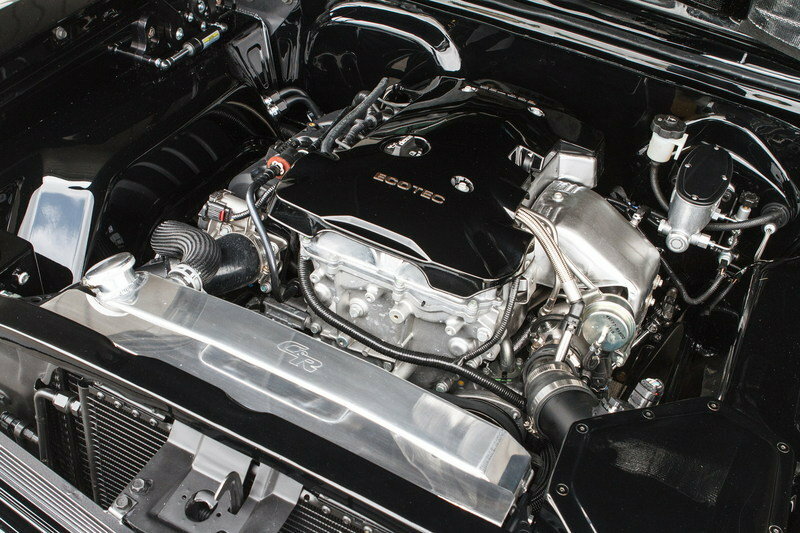 Chevrolet Performance engineers built the car to showcase the “LTG” direct-injected 2.0L turbo crate engine as an alternative to conventional V-8 conversions. Rated at 272 horsepower, it offers comparable power to the 275-hp 327 (5.3L) V-8 originally offered in the ’67 Nova SS – and more than the 195-hp 283 (4.6L) V-8 also offered in the Chevy II Nova lineup. With a curb weight of approximately 3,100 pounds, the 327-powered Nova SS was widely praised in its day for a strong power-to-weight ratio, which helped make it one of the industry’s quicker muscle cars. That performance advantage is amplified in the Chevrolet Performance concept, as the all-iron V-8 has been replaced with an all-aluminum turbo-four, for a more enviable 50/50 front-to-rear weight distribution. And in place of the original four-speed transmission is a modern six-speed manual. The modern, lightweight powertrain helps the Nova 2.0 sprint from 0 to 60 mph in 6.2 seconds. 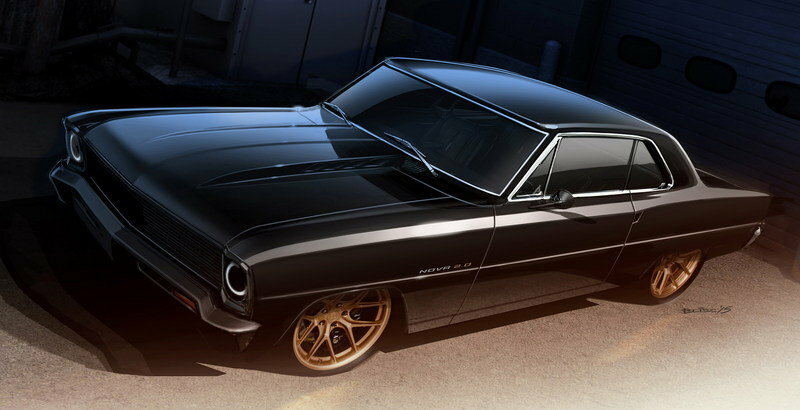 In addition to its modern powertrain, the Black Gold-painted Nova 2.0 is home to a host of contemporary hot-rodding touches, including a billet aluminum grille, narrowed and tucked bumpers, shaved door handles with electronic latch releases, custom 17-inch Z/28-style wheels – in a satin bronze finish – and four-wheel disc brakes. The suspension has been updated with height-adjustable air bags, front and rear, and a triangulated 4-link design in the rear. After debuting earlier this year on the HOT ROD Power Tour, the turbocharged Nova 2.0 will be shown along with more than 20 Chevrolet concepts and production vehicles this week at the SEMA Show, in Las Vegas.